The customer relationship management (CRM) capability of a competitive business in South Africa today needs to be a connected business platform. It must deliver continuous insight on customers and agents, supported by a data foundation that spans multiple technologies and organisational boundaries. To explain why, we trace the trajectory of three intertwined imperatives – connected customer data, connected customer channels and the connected CRM platform. 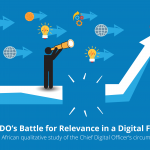 Leading South African organisations are not only managing customer data to interact effectively, they are using insights from that data to personalise engagement at an advanced level. And they are trying to do this in real-time, for example, by providing customised offers to customers when they connect in-store, branch or online. Though most organisations have invested heavily in enabling CRM systems, many are still not meeting their KPIs. What then is preventing them from doing this? The problem originated twenty years ago, when we first delivered CRM projects. This new category of software promised to enable increasingly complex organisations to present one face to their customers. As organisations grew larger and expanded globally, customers became increasingly frustrated with their inability to simply recognise them. CRM offered the potential to solve this problem by centralising customer records across organisational departments. But deal makers who kept track of relationships with rolodexes of key contacts were reluctant to give up their ‘little black book’ of treasured contacts in favour of a system that wasn’t available when they were out of the office and which exposed their contacts to others. The IT function struggled to extract customer data from disconnected systems into a central CRM system and then deliver that to staff at the customer interface. Instead of being solved, this problem has increased in complexity as the volume of customers, the number of interaction methods and the frequency of interactions has increased. 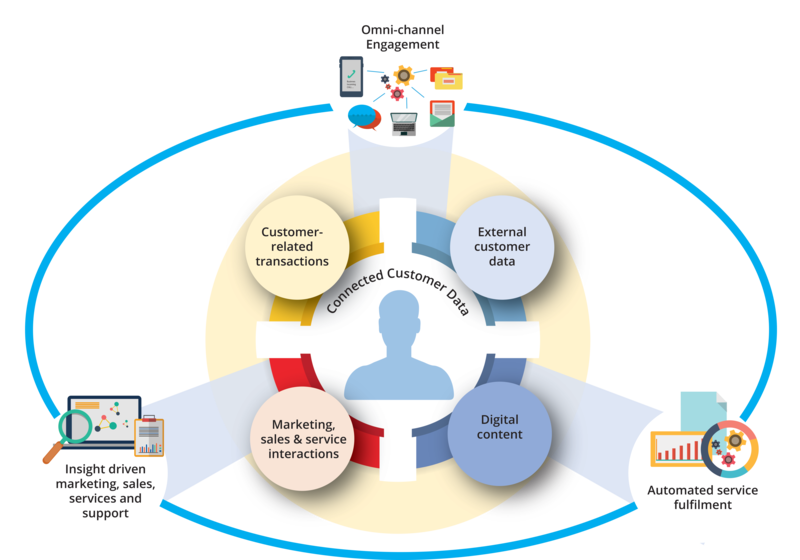 A connected customer data platform is required to create the ‘single view of customer’ that has been so elusive for so long. 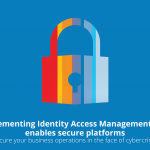 This data platform needs to be secured for customers to trust organisations with their personal information, a need shared by industry regulators. Without the willingness of customers to share their data and the ability of organisations to connect it (in real time), actionable customer insights are not possible. Consumers in South Africa today use digital devices and a variety of channels to accomplish the jobs they are trying to get done. They expect access from anywhere at any time, and they expect enjoyable experiences. Yet many customers still use branches, stores and agents to interact. Leading organisations are therefore designing an omni-channel experience that is pain-free and responsive across digital and physical channels. Why is this a complex problem to solve? The origin of this challenge lies in the growth of contact centres which emerged to reduce the cost to serve customers by centralising service agents and using telephone and, later, email channels. Significant investment continues to be made to maintain complex telephony systems that are integrated with CRM systems to track interactions. Separate departments were created for online and, later, mobile and social media channels. In many cases, each contact centre and department had autonomy to select CRM and related technologies. We realise now that customer journeys increasingly traverse multiple channels and organisational departments as customers assert their preferences rather than being dictated to by organisations. The multitude of separate channel and CRM systems needs to be replaced by connected customer channels to provide the customer with ‘one view of the organisation’. These capabilities need to be available 24-7 and be responsive to customer requests. Then it requires designing a connected platform to realise the future. Finally, it requires prioritising a roadmap to overcome the significant organisational and technological challenges that exist today. One of those is the growing trend to cloud CRM technology and the challenges of moving data between an organisation and the cloud. Today, CRM is a data-driven, customer-centric, connected business platform. It is much more than selecting between Salesforce, Microsoft Dynamics and SAP. The solution spans multiple sources of data, technologies, processes, functions and even organisations.